Finding a hardworking, attention-to-detail, and experienced plumber with a personal touch is a tough thing these days. That’s why we make the task of finding a reliable and professional plumbing service a breeze. Kitchener Plumbing Services has been your premier full service plumbing provider for a number of years. We have many reputable and loyal clients in Kitchener/Waterloo. Our plumbers and staff are ready to assist you with any plumbing questions, concerns, or emergencies you may have. Give us a call today and experience the highly efficient, friendly, and experienced staff we have at Kitchener Plumbing. 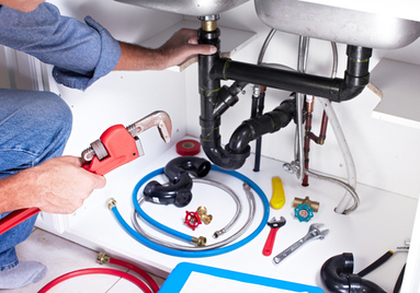 All our plumbers are highly trained and skilled in performing a vast range of plumbing services. All of our plumbers at Kitchener Plumbing Services have the required and specialized training and hours to be fully certified. Our plumbers have completed numerous hours in apprenticeship programs, job shadowing, and more. With our credentials, you can rest at ease knowing a qualified and expert plumber is coming to your home or business. When it comes to great service and affordable plumbing, we don’t believe it should cost you an arm and a leg. That’s why we are competitively priced to ensure you’re getting your money’s worth. 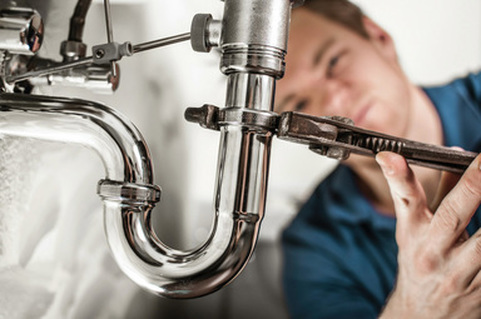 We promise our plumbers will be professional, clean, courteous, and save you precious money, stress, and time when it comes to remodelling, repairs, and more. Plumbing is a tedious job, which can require multiple trips to complete a specific job. That’s why we let you know how many times we anticipate coming before you hire us. You know all the details up front with our expert staff. Our plumbers will come out and give you a free estimate for work, services, and any parts required. We pride ourselves in not being like typical plumbers who leave the job to obtain parts. This type of work should have been done before starting work. We also will give you contracts, invoices, and quotes in writing so you don’t have any awkward conversations when it comes to price and expectations. We set the bar high when it comes to plumbing services, and guarantee you’ll see the difference with our services from others in Kitchener. Our plumbers have a combined experience of over 60 years! We are ready for any plumbing issue and service. Whatever you may need, we can assist. Give our experience a try, and you won’t regret it. At Kitchener Plumbing Services, we adhere to being on time, courteous, professional with quotes and services, and honest in our dealings. Finding a hardworking, attention-to-detail, and experienced plumber with a personal touch can be a tough thing to do these days. That’s why we make the task of finding reliable and professional plumbing services a breeze. Call us today to set up an appointment and one of our expert plumbers will be sent your way. We only strive to provide the best for our clients, and find that regular and continued service is the best compliment we can receive. We look forwarding to serving all your plumbing needs. Fill out the form or call us at 226-400-6015 today!